I’m packed (well nearly) and ready to go. 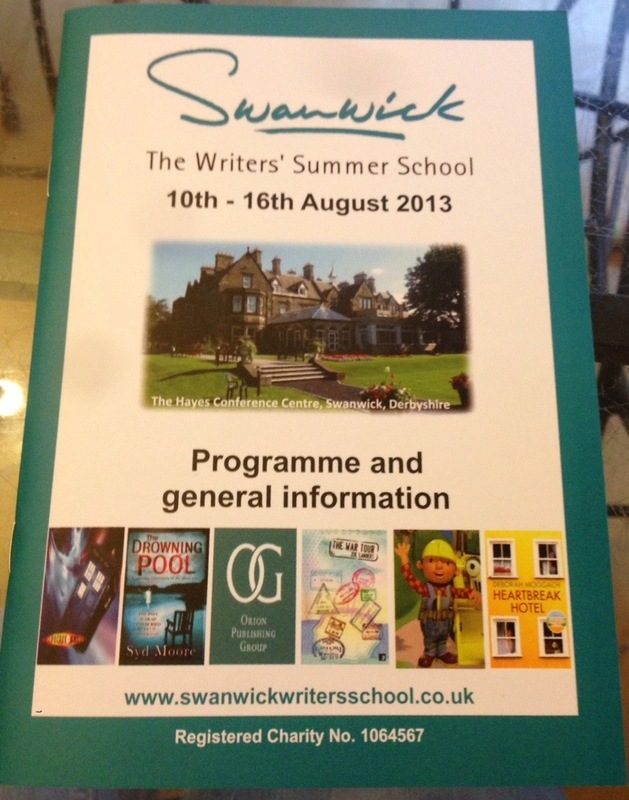 Yep, it’s that time of year again where I go off to The Writers Summer School for a week 🙂 This will be my 3rd year at Swanwick and the programme looks as action packed as ever! The plays put on by the other students and the busking night. Plus meeting up with friends I haven’t seen for a year! If that all seems too much you can attend as a day visitor or stay for 1 or 2 nights. This entry was tagged Best Exotic Marigold Hotel The, Deborah Moggach, James Moran, Summer school, Swanwick, Syd Moore, Writer, Writer Resources, Writers Resources, Writing. Bookmark the permalink. I’ve always wanted to go to a writer’s retreat. Looks fun and the grounds are mesmerizing! Have fun. Looks like a great place to get some work done. No, I’ve never attended a summer school.It sounds like a sensational smorgasbord of ideas, tips and information. A wonderful retreat! If you get the chance you really must go to one! I’ve done a few! But I feel greedy if I do more than one a year so last year’s was Swanwick 🙂 (Yay, I loved it – great courses, great people, wrote 10k words and met with the lovely Meg Davis – I think you said you’re meeting with her? – and had just the most wonderful hour long chat about my novel – whoopee!) and this year’s is The York Writers’ Festival in September. I went to the first one a few years ago which just blew me away so, much as I’d love to return to Swanwick, I’m really looking forward to this one, too. I look forward to hearing about your week and best of luck with your agent slots. Oh wow, so we were both at Swanwick last year….you must come back! I echo Jackie’s sentiments. Good luck ! Above all else though have fun. Though the days are long and action packed, seeing old friends will be great for you. I envy you and wll expect to read all about ot on your return. I think my spelling needs some work ! Have a great time. I’ve attended a few day conferences in London but nothing as big as that. I’d like too, but I have it on my head that I need to finish my ms and hone my small talk skills first. Hope you decide to join us next year! Wish you well, Vikki, and hope it inspires you! Have fun, Vikki! Hope you have a great time! Looking forward to your daily reports! Fancy joining us next year? This sounds fabulous. Have a great time! Have a great time! Hope you meet some great people. It sounds brilliant, Vikki. Looking forward to hearing all about it! It was Linda, and as you can see I’m sooooo behind! Still ok for Monday, will message you today! Have a lovely time, Vikki. I must try Swanwick one year 🙂 Looking forward to hearing all about it. I’d love to go to Swanwick. One day I will get there. Have fun!!! Oh you MUST come! It’s a wonderful experience!